After quad-core processors, it’s time for octa-core processor equipped mobile devices, and to start it off, mobile device maker iBerry has announced the World’s first switchable 3G module octaâcore tablet. 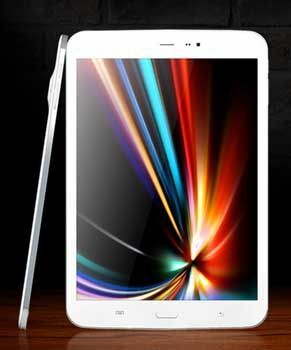 The Auxus CoreX8 3G tablet is powered by Samsung’s Exynos 5 OctaâCore 28nm processor with a triâcore PowerVR SGX 544MP GPU. The tablet offers switchable 3G module technology, which is basically a hot-swap function where one has an option to use a SIM card without having to reboot the device. One can also remove the SIM card and use Wi-Fi for data communication. The tablet comes with 2GB of RAM, a 7.85 inch display with 720p resolution, Android 4.2.2 (which will be upgraded in the future), 16GB of inbuilt memory which is expandable up to 64GB via a MicroSD card, a 5MP Rear Camera (with Flash) & 2MP Front Camera. 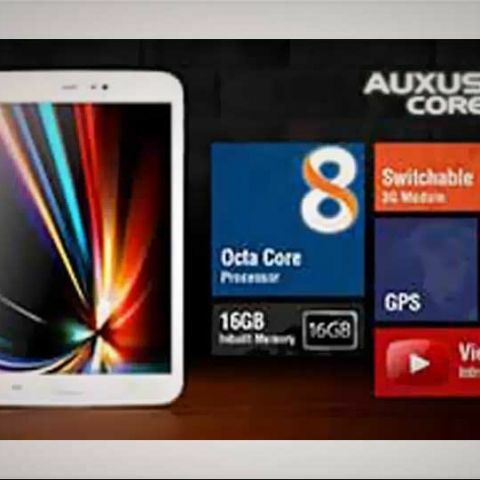 The Auxus CoreX8 3G is available for pre-booking from 10 Jan 2014 at a price of Rs.20990 and the regular price post the preâbooking will be Rs.23990. Intex has also launched an octa-core processor running tablet called the Intex Aqua Octa which is 6-inch device and is available on Snapdeal for Rs.19,999. will iberry auxus note 5.5 be a better choice for me to buy?